So, we did it! After a non-stop whirlwind weekend in the pouring rain last weekend, we piled up the family truckster and headed North again for a Memorial Day Weekend National Park Adventure! Memorial Day Weekend has always been a great time for our family to take a road trip and visit some National Park units! Most notably, in past years we have journeyed up to Washington DC and Shenandoah National Park. We are blessed to live in an area where we can quickly drive to both historic sites and natural sites very quickly. Our National Park unit tally was 92 coming into the Memorial Day Weekend. After our 3 day adventure, we added 5 more units visited and are now at 97! 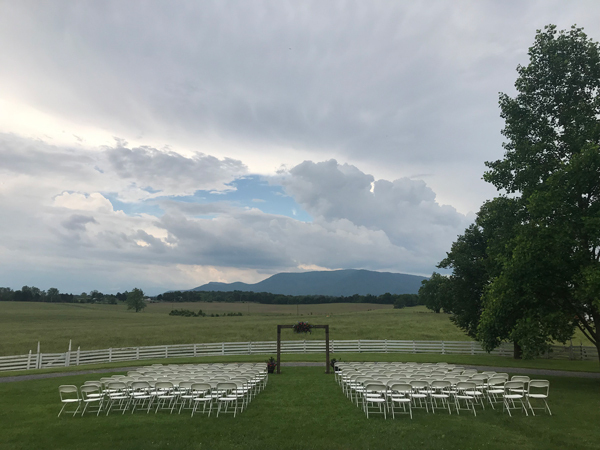 Here are some of the highlights of our trip that took us to Monocacy National Battlefield, Flight 93 Memorial, Fort Necessity National Battlefield, Cedar Creek & Belle Grove National Historical Park, and Prince William Forest Park! Monocacy National Battlefield was a happy accident for this trip. Our original goal was to visit the Flight 93 Memorial on Saturday morning so we decided to leave Friday night after the kids got home from school and drive 5 or so hours North to make our Saturday morning drive easier. As a Marriott Platinum Elite member with typically more points than I need, we always try to stay at Marriott hotels so I chose a hotel in Maryland along the route. It never occurred to me to look to see if there were any National Park units nearby! 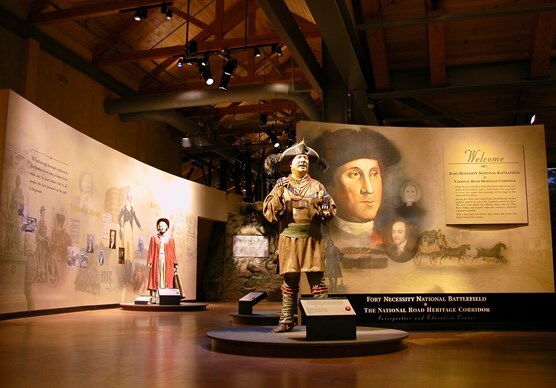 So when I got off the highway exit in Frederick Maryland and saw the big brown National park sign for Monocacy National Battlefield, I knew I had to readjust our itinerary! Monocacy National Battlefield highlights the Civil War battle that “Saved Washington DC”. And while the battle was no doubt an influential part of the Civil War story, it cannot be understated to say that the rolling hills and historic buildings in this park are some of the most beautiful we have ever seen. We had plans to be most efficient with our time so after discovering the Visitor Center would not be open until 9, we decided to do the Self-Guided Car Audio tour finishing up at the Visitor Center for a quick passport stamp and look at the exhibits. – Take the time to do the Car Audio Tour! It gives a great, descriptive explanation of the various points of interest within the park. – Bring bugspray! This park has tons of tall grasses and standing pond water. – Visitor Center has clean bathrooms. – When you walk into the Visitor Center it looks like there is only a bookstore and bathrooms. Walk upstairs and view the great exhibits! After our Saturday morning visit to Monocacy, we jumped int he car for a 2 hour drive North to Shanksville, PA.
Every time we plan a National Park adventure we always have a key unit that we base the trip on. I found it fitting that this year’s Memorial Day Weekend trip was anchored by our visit to honor the heroes of Flight 93 at the Flight 93 Memorial. When we started our goal a few years back, The Flight 93 Memorial was one of those National Park units that I earmarked to visit. To be honest, I am still processing in my head how best to describe this visit and I will probably take the time in a future post to talk about it in greater detail. I will just say that I have visited both the 9/11 Museum and Memorial in New York City and the Pentagon Memorial in Washington DC, and the Flight 93 Memorial is equally powerful. Each Memorial has done great jobs honoring the victims, the heroes, and the unique landscapes of each site. My wife and I remarked at the symbolism built into the architecture and design as well as the way it incorporated the landscape of the Pennsylvania fields into the experience. – Take the time to go through the exhibit inside the Visitor Center. It does a great job of explaining the events of the day and honoring the heroes on Flight 93 and the investigators at the crash site. – After your finish with the Visitor Center, you can choose to take 3 paths to the Memorial. You can continue through the back door of the Visitor Center and take the path down to the Memorial. It will take you past the 40 Memorial tree groves and a scenic bridge to the Memorial Park. This walk is 2ish miles round trip. You could also choose to take the path from the Interpretation Center which meanders down to the Wall of Names. Finally, you can get back into your car and drive don to the Memorial. On Sunday morning, we headed further West in Pennsilvania to visit Fort Necessity National Battlefield. This is the site of the first battle of the French & Indian War and a place that has rich history with George Washington. We arrived early to this unit hoping to see the fort prior to the Visitor Center opening at 9 (Notice a trend?) but unfortunately, the path to the fort from the main parking lot is through the Visitor Center and the road that gives you access from the other side was closed. So, with some time to kill, we listened to the history of Fort Necessity from the National Park Service Tours by OnCell App. If you haven’t tried out this app before, you’re missing out. It features audio tours of many National Park units and while it isn’t perfect (Some questionable user interface decisions), it is packed with valuable information. It was the perfect companion for us when trying to kill time before the Visitor Center opened! After watching the orientation film: a sufficiently-acted re-enactment of the events of the area as well as the highlight of the National Road project that cuts through the area, we viewed the exhibits and then headed out to walk to the fort. The Visitor Center opens up to a playground with the highlight being the various head cutout displays which my kids always get a kick out of. After a short walk, we entered a clearing where the Fort resides. The fort is way smaller than I imagined—basically a bunch of wood stood up to make a small circle measuring 53 feet in diameter. We learned that when this site became a National Battlefield in the 1930s they originally thought the fort was a triangle in shape and the original reconstruction represented it as such. It wasn’t until much later did they uncover it was actually a circle. You can read more about the archaeology of the fort here. – The 20-minute orientation film is better than most and worth the time to watch. – When traveling to the park you will drive past the Washington Tavern. This houses a museum and is part of the park. But…you can access it from a path near the Fort so drive to the Visitor Center so you only have to park once. After spending the morning at Fort Necessity, we jumped back in the car and headed back South to the Cedar Creek & Belle Grove National Historic Park. Let’s just say that this unit is a work in progress. The challenge with this National Park unit, however, is most of the land within this rich history is still privately owned. This means, in the case of the Belle Grove Plantation, that it’s a partner organization with their own rules including a separate fee to view the house. Or in other cases, like parts of the Cedar Creek Battlefield, you cannot visit because it is private property. We drove up to the Visitor Contact Station: a substitute for a more permanent Visitor Center that is (not kidding) in a strip mall. Don’t let that scare you off however—it has some great exhibits about the Shenandoah Valley, has clean bathrooms, and is the place to get your Passport Stamp Cancellations. Once there, we were encouraged to drive a few miles down the road to visit the Belle Grove Plantation. There was a wedding that was happening later that afternoon, so we managed to make the last Park Ranger presentation. We were very fortunate to catch a Ranger Program called: “Kneading in Silence: A Glimpse Into the Life of Judah the Enslaved Cook” This was a 30-minute program that explored the story of one slave at Belle Grove. It really gave us a unique experience in learning about one facet of the history at this plantation. After this presentation, we spent most of the rest of our time taking pictures at the great details around the house. Of course, my wife is the master at capturing great textures and architectural details. 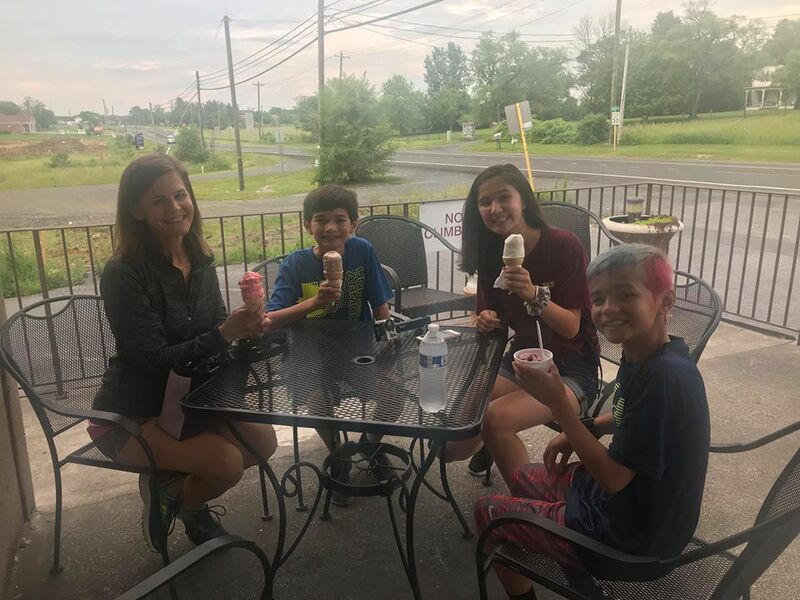 We then finished up our visit to the area with ice cream! BTW: A&L Scoops. Both soft-serve and hand-packed ice cream. Public bathrooms accessed around the corner. – Don’t skip the Visitor Contact Station. The town only has 1 street light. It’s near there. – National Park Passes do not work here. On Saturday and Sunday we jam-packed our days with visits. For our last day, we targted just one place, Prince Willia Forest Park. 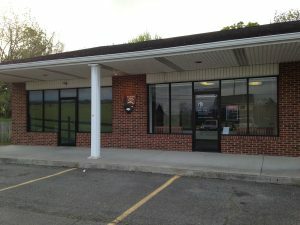 This park was on our way home and was a unit we always drove by but never stopped in to check out. We arrived early and headed straight for the Ranger Station where we looked at the exhibits and used the bathroom. Then, under the suggestion of the Park Ranger, we decided to do a short hike. 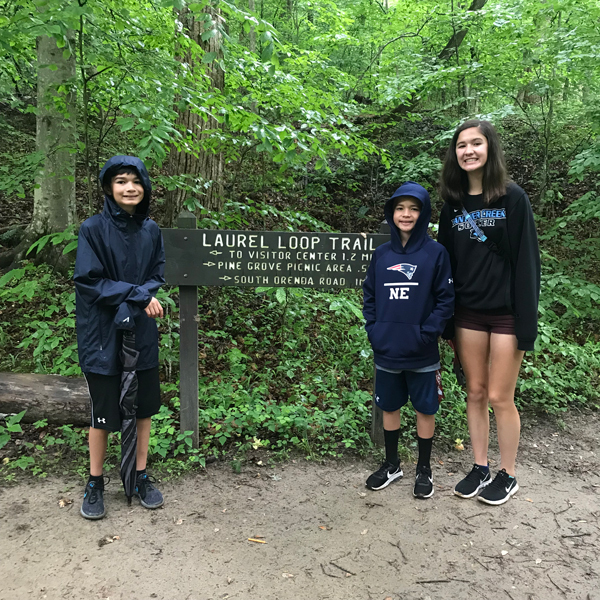 The Laurel Loop Trail is a very short and easy hike with a trailhead right at the parking lot. This trail was made slightly more difficult than usual because the rain all weekend had made the trail muddy and very slippery. It was also difficult because the mosquitos were having a field day with my Asian blood. I’m also very psyched that we got this family selfie! – There is a fee to enter this park. – National Park Passes DO work here. 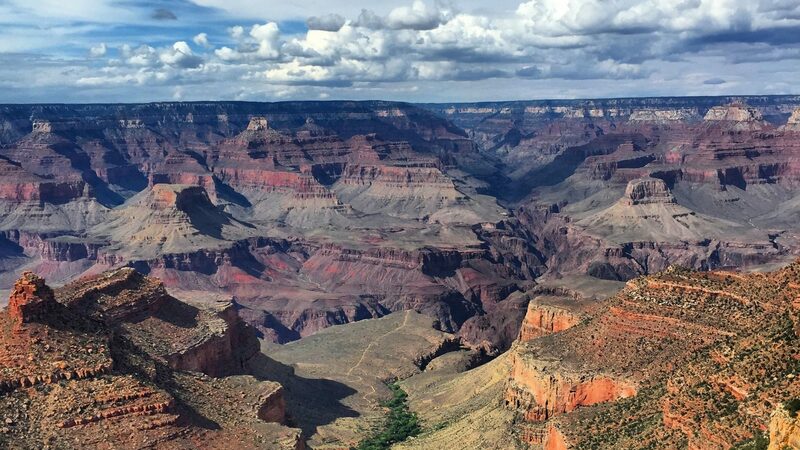 – There are over 30 miles of trails within this National park unit. I love adding pins to our National Park map! Added 5 more pins from the weekend. We’re sitting at 97 Park units visited. Hawaii: we’re coming for you in a couple of weeks to close out our goal! 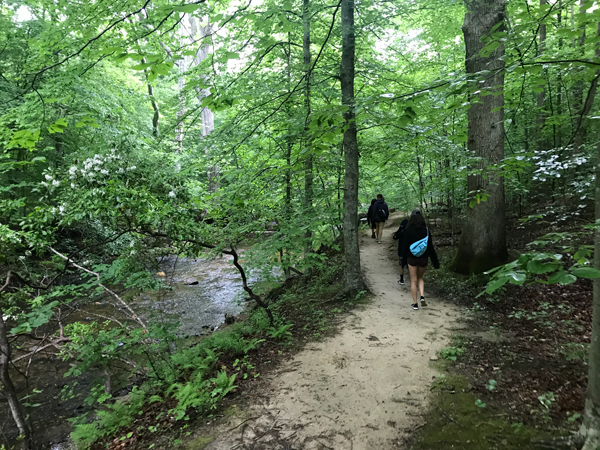 We had a great Memorial Day Weekend exploring some lesser known National Park units in Pennsylvania, Maryland, and Virginia. We are so close to achieving our goal to visit 100 National Park Units as a family by 2020! In 2 short weeks we will be on the plane for our Hawaii National Park Adventure! Thanks for following our family adventures! Where will you take your family next?